A common misconception is that heat is required for getting things clean — particularly when it comes to the hand washing water temperatures. However, A study by Rutgers University-New Brunswick found that cool water temperatures are as effective at removing the same amount of harmful bacteria as hot water when it comes to the hand washing process. The thoroughness of the job of drying the hands. But, how do water temperatures play a role in the hand washing process? And, is there a recommended water temperature for hand washing that is better than another? According to a study published in the International Journal of Infectious Diseases, the hand washing process as part of personal hygiene has been around for centuries (and spiritual ritualism beyond that), although it has only been linked to helping to stop the spread of infectious diseases within the last 200 years. It has only been in the last few decades that written guidelines have been created. The Rutgers study shows that there is no specific recommended water temperature for hand washing that has a significant effect on reducing bacteria. Furthermore, using an antimicrobial soap did not prove to have significantly more effective results than using regular soap concerning hand washing water temperature or the hand washing process in general. However, the amount of lather time did show significant improvement in one scenario — 10 seconds seemed to be the “sweet spot,” as it was effective at removing germs in the minimal amount of time. According to the Rutgers study, no one hand hygiene product is perfect, and all have advantages and disadvantages. The cleaning activity of plain soaps is “mainly detergent or mechanical” in removing dirt and other organic substances from the hands; however, it not shown to remove pathogens from the hands of the healthcare worker study subjects. However, the study showed that hand drying is essential to an effective hand washing process. Drying hands with paper towels is more effective at removing germs than merely allowing water to evaporate or “air dry” on hands over time. There also is a lot of debate in recent years about the efficacy of hot hand dryers for restrooms concerning hand sanitation. Sinks and taps are sources of pathogenic bacteria and microorganisms that can be transferred to hands during the hand washing process. This is why it is often preferred to employ no-touch taps and automated sinks with motion sensors. However, another essential element is to focus on improving the cleanliness of those facilities with cleaning techniques and products that clean for health and sanitize surfaces. This involves partnering with a reputable commercial cleaning company that cleans for health first and not just appearances. 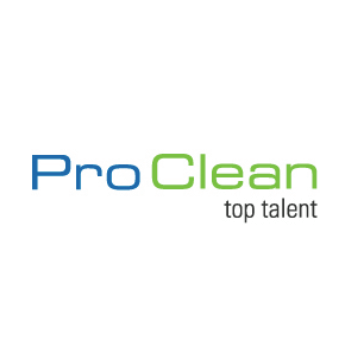 At Pro Clean, our cleaning experts are trained and certified in the industry standard cleaning practices outlined by the ManageMen Operating System 1 (OS1) certificate program. Our specialists are trained and must pass an exam before they are qualified to clean a restroom or any other area of a facility for clients. Their cleaning methods remove and control the bacteria, germs, particulates, and volatile organic compounds (VOCs) that are present in your facility’s indoor environment. 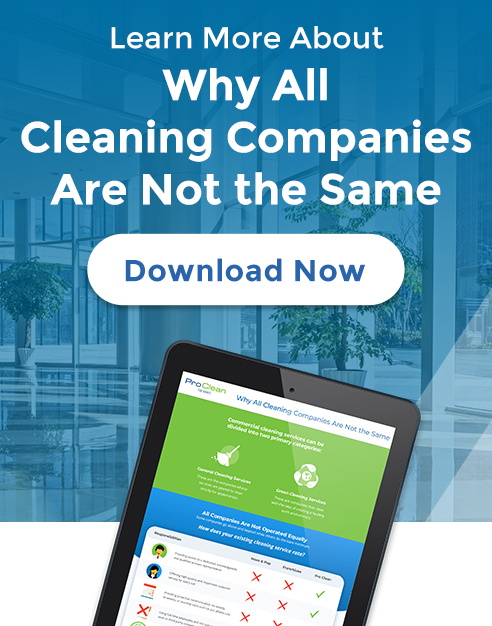 To learn more about how green cleaning can help you improve the cleanliness and sanitation of your facility, be sure to speak with our team of experts today. Are Hand Sanitizers More Effective Than Washing Your Hands?